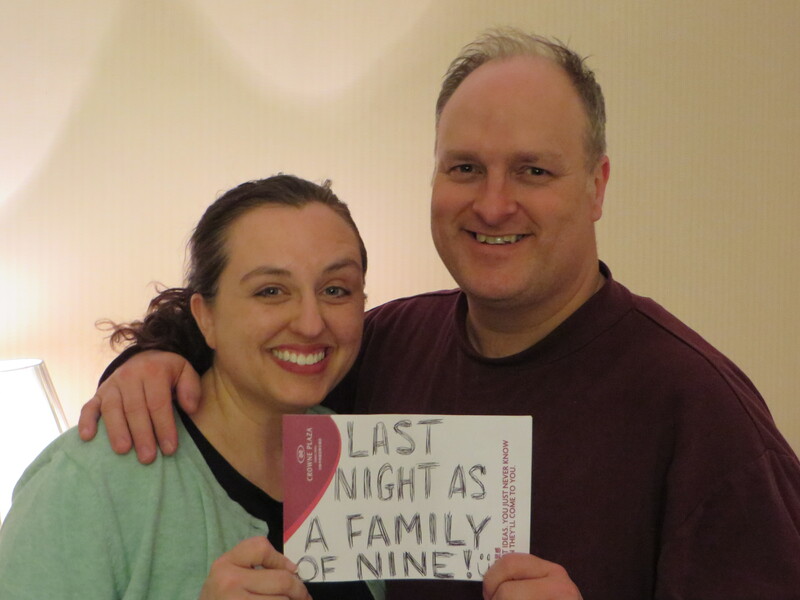 Last night as a family of nine! Hope was removed from her foster family, most likely in the past couple of days. She had been with the same family since she was seven months old. April and I are particularly burdened for her. As the report states, she is introverted and afraid of strangers so our hearts are grieved that she will be experiencing another traumatic loss. Faith – “She likes steamed buns, noodles, rice cereal boiled eggs and vegetables. She goes to bed at 8:00 pm and wakes up at 6:00 am. She takes a two hour nap from 12:00 – 2:00. She sleeps throughout the night. She likes bathing, she seldom cries when she is bathing. She is a lively and active girl. She is not afraid of strangers. She can play by herself or she can play with her friends. We haven’t found anything that she is afraid of. Hold her when she cries or gets fussy. She has never gotten close to animals.” Not sure what the last sentence means, most likely stuffed animals. We believe that Faith’s transition will be easier, she seems to be a ham and very social (I have a few boys like this 🙂 ). We are greatly anticipating what tomorrow will bring! I’m not sure how often we’ll be able to post from here on out. Please pray for us – we need strength. We are all worn out from the busyness of travel, time change and a host of emotions to boot. April remarked today that she remembers having these same feelings before her seven inductions. Pray for Grace. She had much difficulty today on the plane and she doesn’t know exactly what triggered it. She’s flown to Zambia and back so we don’t believe that it’s a fear of flying but she struggled quite a bit. Please pray for her emotions – that she would by grace, have the peace of God rule in her heart. Pray that God would sanctify these struggles to her and that He would use them to make her more dependent upon Him. 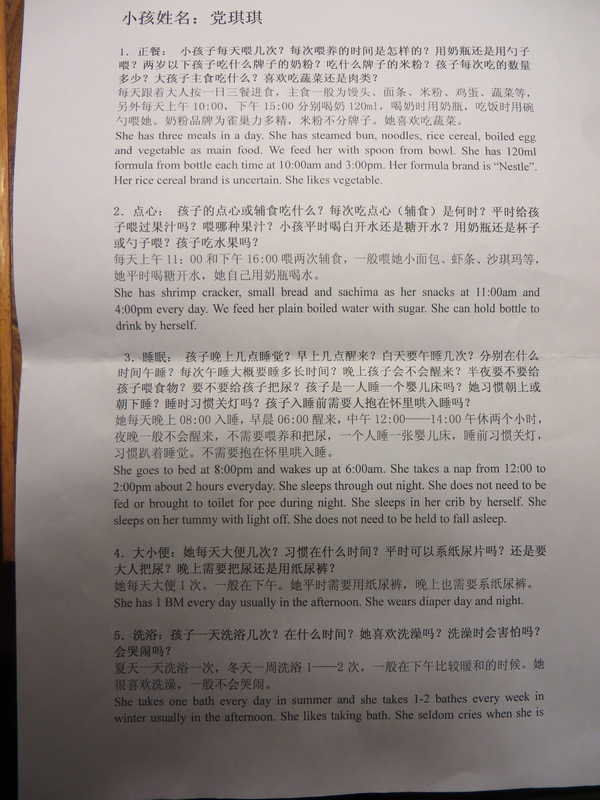 The reports are difficult to read but you may be able to zoom in and see what is said. The first report is Faith, second – Hope.